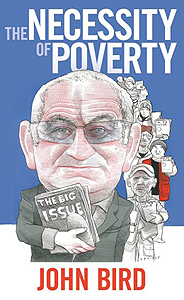 A former rough sleeper and troubled child of poverty, John Bird, founder of The Big Issue, has written an excoriating attack on orthodox thinking around the gap between rich and poor. Provoking an intellectual revolution, he spares neither himself nor others in identifying what needs to be done to end poverty. A lifelong autodidact, Bird has learned much from his time in orphanages, in prison, in slums – and on the streets. With The Necessity of Poverty, the social entrepreneur offers a fresh perspective as one who was once part of the problem and has now become part of the solution.